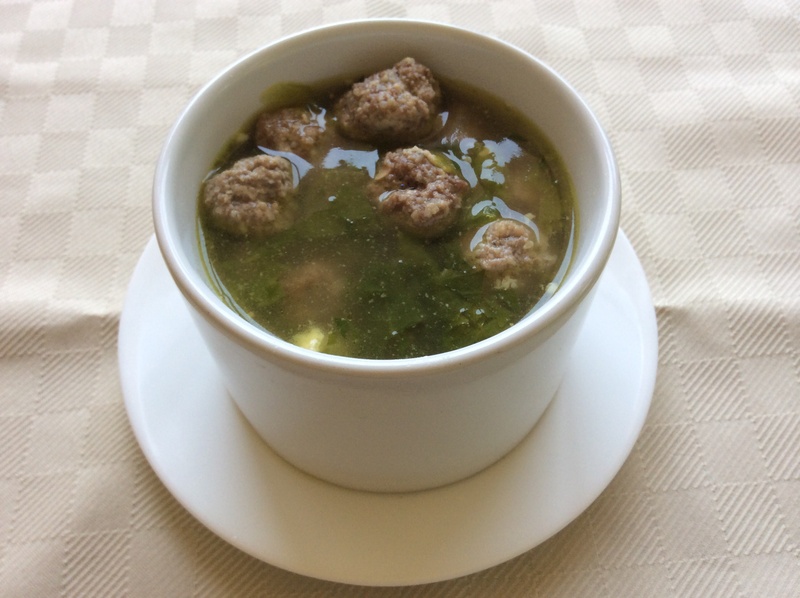 Italian Wedding Soup | Let's Eat! This is one of those recipes that brings back memories. My mother and grandmother made this on special occasions. As a kid I remember not wanting to try it. For some reason endive just doesn’t sound appealing to kids, but after I tried this as a teenager, I couldn’t get enough! This is the traditional way my mom and grandmother made it, but you can vary it by using carrots, adding pork or veal to the meatballs and using escarole or spinach to substitute for the endive! Put 2 chicken breast in large pot of water (approx 3 quarts). Bring to boil and boil for 1 1/2 to 2 hours. Remove chicken from pot and allow to cool. Cut into small pieces. Add salt and pepper to broth and simmer. Mix ground beef, cheese, bread crumbs, eggs, salt and pepper and make meatballs the size of a marble. 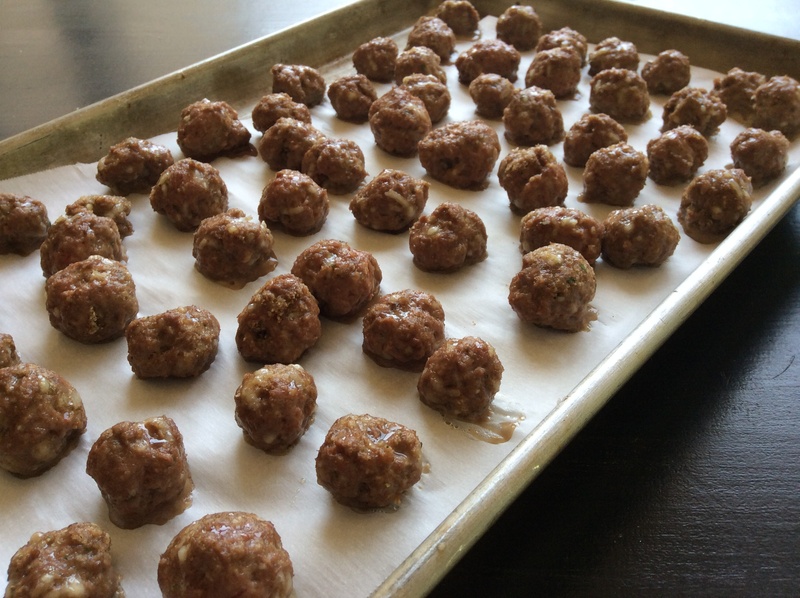 Bake the meatballs in a 350 degree oven for 10 minutes. Chop the endive finely and add to the broth while meatballs are cooking. Add the meatballs and diced chicken and simmer for 5 minutes. This entry was posted in Recipes and tagged Italian wedding soup. Bookmark the permalink. It’s a great day for Italian Wedding Soup!